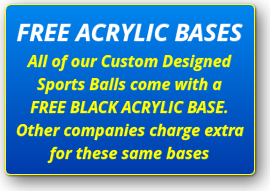 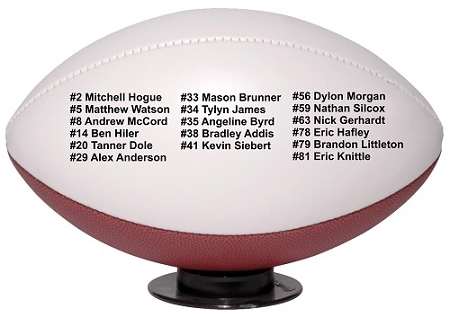 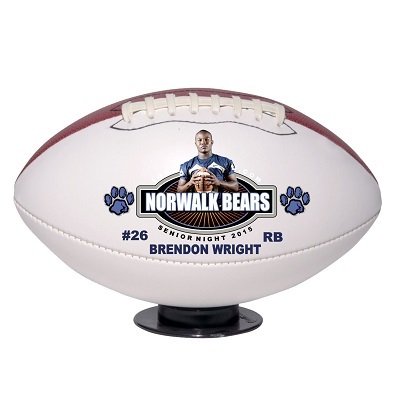 Can be imprinted with either a team photo or individual player photo. 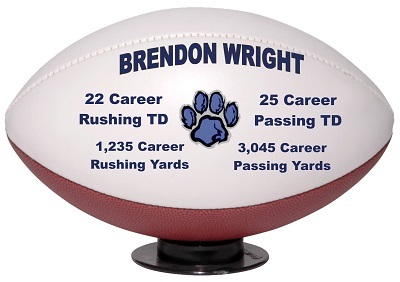 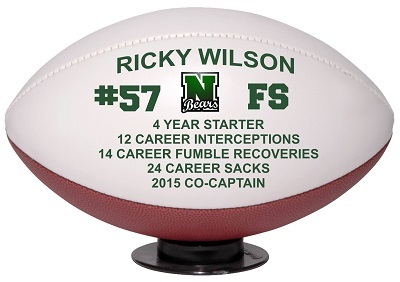 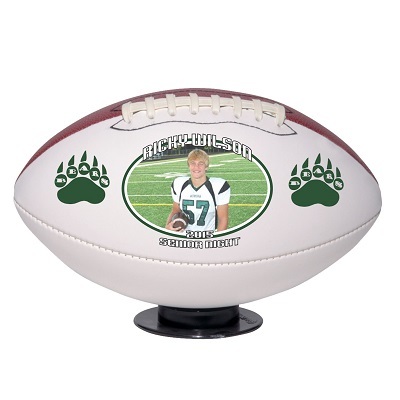 The mid-sized photo football is also great for individual awards, such as "Player of the Week", "Captains Ball", "All-Conference", "All-State", and many others. 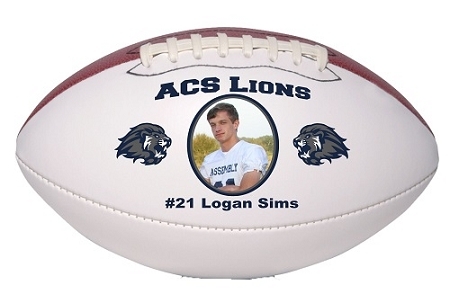 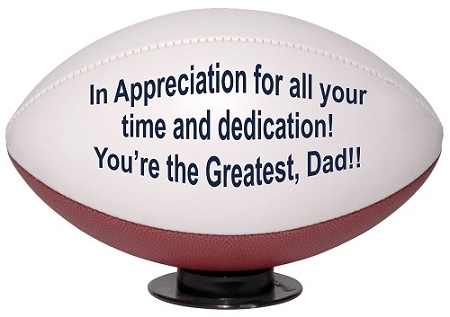 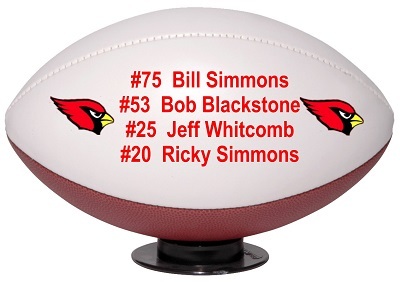 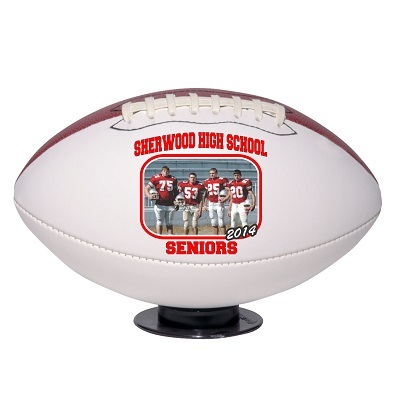 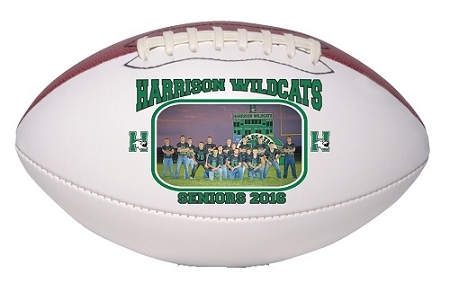 This mid sized autograph styled football has the look and feel of a professional football in an easy-to-display, compact size.